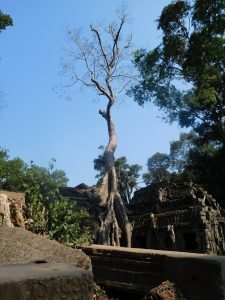 Last week, I returned from my fourth trip to Cambodia. That’s right, fourth – 4 times to the same country, 4 times exploring the Temples of Angkor, 4 times roaming the streets of Phnom Penh. I’m even a Cambodia instigator. I make other people go there (and usually accompany them) – my parents, friends, boyfriends, whoever is easily persuaded. You may wonder why I’ve been to this one little Southeast Asian country so many times. Well, it’s simply really…I love it. I first visited Cambodia in 2005, a little unplanned add-on to a trip to Thailand. On this occasion I just explored Siem Reap and Phnom Penh and it was on this trip that it captured my heart. 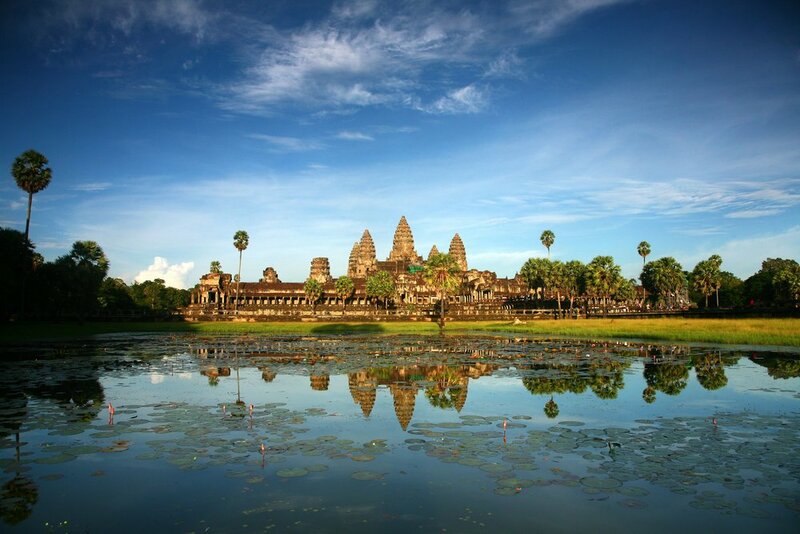 I mean, just look at Angkor Wat, who could resist such breathtaking beauty and overt adventure! As a child that adored Indiana Jones, it just cried out to my inner explorer – we climbed all over the temples, discovering to our hearts content. So I went back in 2008 and explored a few more places and then in 2010 adding a couple of new places to the itinerary this time too. It still had the ability to knock me for six. Then 2017 rolled around. I needed a holiday. Cambodia called out to me all over again. 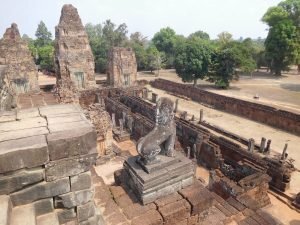 We arrived into Siem Reap at 11.30am on a Friday morning – after the initial joy of the burst of heat that hit on stepping out of the plane door, my first thought was ‘wow, that airport got bigger’. Over the last 12 years, Cambodia has been well and truly developing, but then they couldn’t keep a site like Angkor under wraps could they. It is undeniably one of the new wonders of the world. We spent 4 days in Siem Reap, and bought the three-day pass to the Archaeological Site. 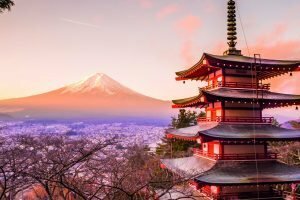 At the beginning on March 2017 the price went up from $40 to $62, but I can’t help feeling that this is more than fair, considering the amount of temples and sites that need to be maintained! We hired bikes to trundle around the temples (they were old bikes) on the first and third days, the perfect way to avoid the tour bus crowds, stopping as we wished to explore this and that and taking our time to poke around every corner. On the second day we did the ‘Grand Circuit’ by tuk tuk, which takes in five temples on a 26 kilometre route; as it was about 37° we didn’t really fancy cycling that one! Preah Khan remains my absolute favourite temple, as it has been from the start. Passing out of the quieter North Gate of Angkor Thom and following the road, it is the first temple you come to and the first temple of the Grand Circuit. Why do I love it so much? Well it’s still a little bit off-the-beaten-track, it’s beautiful, it’s crumbling with piles of lichen-covered rocks and trees growing out of all sorts of crevices in walls and roofs. It’s also got a fantastic air of mystery – it still feels like you are just discovering it, like you are the first person to set foot in it for centuries. 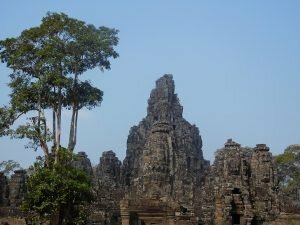 I also climbed Phnom Bakheng for the first time on this trip, which is best known as a sunset spot but has fantastic views over Angkor Wat during the day – it was also a pretty cool temple, currently being renovated by a Cambodian team with a grant from the US Department of State. In Siem Reap, it isn’t just about Angkoring. The town is pretty happening, with a huge number of bars, restaurants, gelato cafes, shops and markets. You may even have heard of the notorious Pub Street, the place for travellers to eat and make merry after a day of templing. Well that baby has expanded, engulfing more streets and alleys and offering more surprisingly cool places to eat and drink. But don’t worry, it still exceptionally easy to find Cambodian food – the edge of the market is lined with local restaurants, whilst the old night market is the place to go for street food galore. Siem Reap may be the gateway to Cambodia’s crowning jewels, but it is by no means the only awesome place to explore. 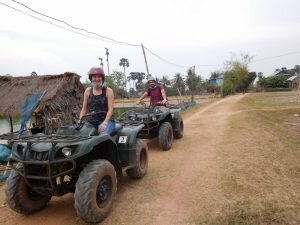 On previous visits I’ve done Battambang and ridden the bamboo train, Kratie to see the river dolphins, Rantanakiri to explore the jungle, and Sihanoukville for a bit of beachside hedonism. 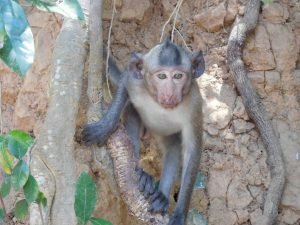 This time I returned to the riverside town of Kampot for a second visit and spent more time in the little seaside town of Kep. 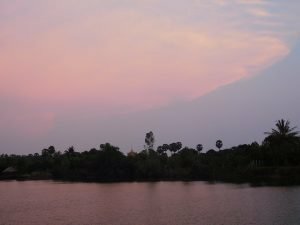 So, we hopped on a plane from Siem Reap to Sihanoukville – a 50-minute flight, and then travelled about 90 minutes through the countryside from the airport to Kampot. I remember this town having a really cool, relaxed atmosphere, and it hasn’t lost it. It also explains the number of expats that have set up shop here, so the choice of places to dine, and variety of food that you can dine on, is pretty spectacular. We jumped straight onto a sunset river cruise, sailing sedately upriver sipping on a couple of cans of Cambodia whilst lounging on the roof of the boat. 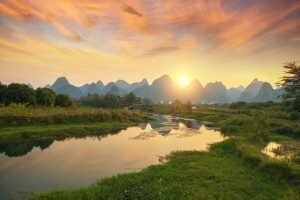 We stopped in a quiet spot, with the obligatory golden-roofed temple sticking up out of the riverbank foliage to watch the sun dip behind the hills. On the way out, we passed the local fishing fleet heading out to sea for the night (the ocean is about 6 kilometres downstream) and on the way back fireflies came out to bid us goodnight and bats soared erratically overhead. Kampot is perhaps best known for Bokor, a former French hill station used as a stronghold by the Khmer Rouge. A few years ago on this windy mountain top there were just an old casino and a church – now there is a big new, resort up there, but you can still visit these haunting shells and admire the views out over the ocean to the islands beyond. We also cycled out to the salt fields just outside of the town, and watched men and women sweeping up salt crystals into big sparkling piles and scooping them into baskets. Getting to Kep from Kampot is a 40-minute drive by tuk tuk, mostly down new concrete roads. Kep was the French seaside town, oddly stretched out between a series of headlands. Offshore are a number of islands, still a bit more off the radar than the Koh Rong archipelago off Sihanoukville, but still with basic accommodation for those after a more of a castaway experience. Kep’s beach is quite small but is lapped by waters that are warm and calm. We were in Kep over the weekend, so the shallows were full of happy locals – they don’t sit on the beach though, but squash onto the walkway directly behind the beach in the shade. Rising early one morning we did the 8-kilometre hike around the Kep National Park, which was beautiful and shady, the peace only broken by birds and the distant cry of monkeys. Kep is best known for its seafood, particularly crab. Dine on the crab served with Kampot pepper and you’re onto a winner! The crab market is a picturesque row of corrugated metal shacks, occupied by restaurants, balanced precariously on the rocky seafront. Walk past these and you’ll find a small wooden pier, where the transactions take place. The crabs are kept in wooden traps in the shallow water, and hauled out when a prospective buyer comes by, for them to take their pick of the bunch. Kep’s other unique feature is its old modernist mansions. Dotted all over the place, these previous homes of the colonials were burnt out by the Khmer Rouge – some are gone completely, leaving only the wall that marked out the plot, and some are evocative, melancholy shells. Some of these are occupied, some aren’t, some have become a canvas for graffiti and some have been restored but all make for an interesting afternoon stroll, perhaps with a nice ice-cream – you can get Magnums and Cornettos here! We rounded off our trip in Cambodia’s capital Phnom Penh, spending just one night here. Travelling from Kep to Phnom Penh by road, via Kampot, takes about 4 hours – quicker if you happen to hit the city when the traffic isn’t too bad. Phnom Penh is a city that is growing rapidly. I don’t recall there being any skyscrapers there in 2010 (though that doesn’t mean there wasn’t any!) but now there are several. There is building going on all over the place, but it manages to retain an element of grace and a pleasant atmosphere. I’m afraid to say we didn’t do much more than walk along the buzzing river front and visit the Russian market – I had done the Killing Fields and Genocide Museum three times already and we were running low on dosh. It was nice to solely soak up the ambience and finish the holiday in a happy place. When I left Cambodia for the third time I assumed that I wouldn’t go back again, and yet I found my way there for a fourth time. 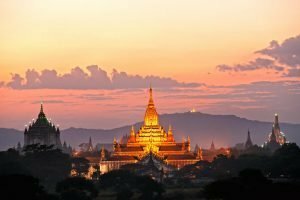 Leaving Cambodia this time, I have no such preconceptions – I might return in the future to find it has morphed into something new again, but then there are plenty of other places in the world to find adventure. Whether I return or not, I recommend that you all go. I am a Cambodia instigator after all. 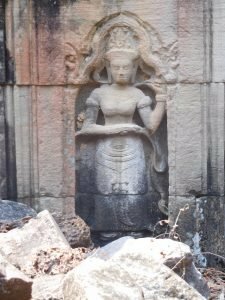 If you like the sound of my Cambodia adventure, and fancy doing one for yourself, or incorporating one into a wider Asia itinerary, give the Asia Inspiration tailormade experts a call now to start building your dream trip.